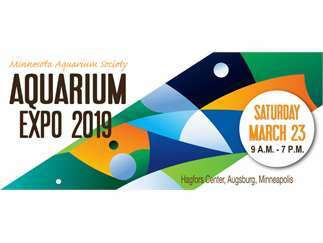 Come visit the Minnesota Aquarium Society's Expo 2019 at Augsburg University to learn what the aquarium hobby has to offer and see some beautiful tanks and fish in person. This family-friendly and free event offers the promise to help you grow (or start) your aquarium hobby. The event will feature over 100 display tanks, hourly presentations, a marketplace, raffles, demos, hands-on activities and the opportunity for attendees to talk with experts and other local aquarists. Whether a first-time aquarium keeper or a seasoned veteran, you will walk away with new information and the drive to try something new! We hope to see you there!